ADATA Technology, a leading manufacturer of high performance DRAM modules, NAND Flash products, and mobile accessories today announced the launch of several products designed to make USB-C adoption easier. They make the reversible USB standard compatible with connectors such as USB-A and HDMI, as well as legacy plugs like VGA (D-sub). 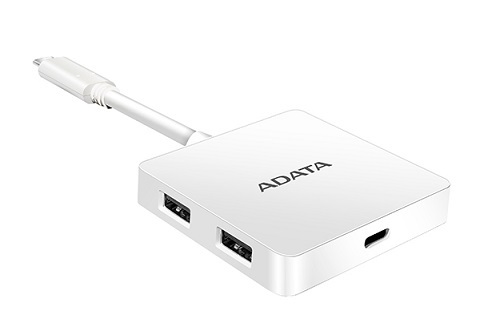 ADATA believes USB-C represents a positive development that benefits customers. The reversible connector is more than easy to plug in - it also marks the arrival of faster data rates and higher quality signal transmission. With new adapters, cables, and hubs, users can connect devices with USB-C to various other devices so that functionality is retained. All cables and adapters use high quality materials to ensure optimized data carrying capabilities. Making data access eminently effortless, the USB-C OTG Reader combines USB-C, USB-A, and microSD/SDXC/SDHC support in one ultra-compact on the go product. It offers an excellent way to move content and interconnect devices. Relatedly, the USB-C Hub has USB-C, USB-A, and HDMI, with powered ports to charge devices. The HDMI port allows displaying content from devices such as notebooks and smartphones on TVs, and the inclusion of USB-A ensures wide compatibility with numerous products. 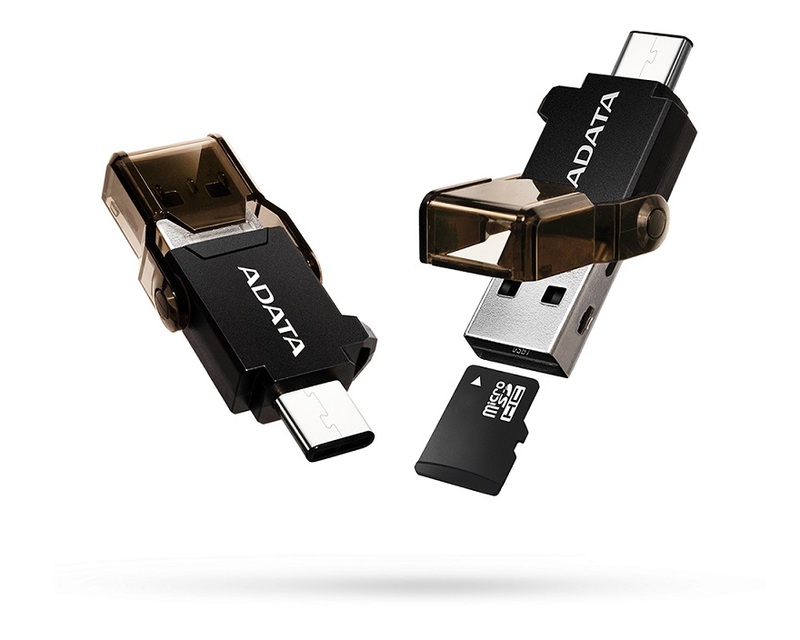 ADATA is making available adapters that convert digital and analog content from USB-C to devices with HDMI and VGA. Products allow for easy video connections from smartphones, notebooks, tablets, and other devices with USB-C to virtually every device with a video-in, including TVs, set top boxes, game consoles, and audio/video receivers. 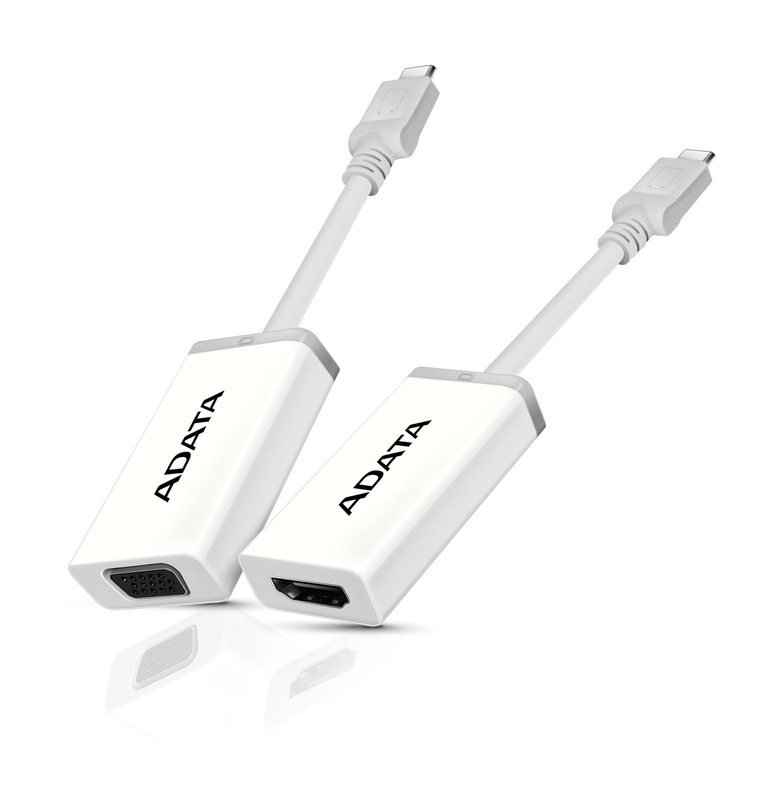 The USB-C to VGA adapter maintains legacy support and should prove very useful for users that need to display content via projectors in business and public situations. ADATA USB-C cables are made using robust materials to prevent damage to wiring due to bending, twisting, or pulling. The premium build of these cables supports up to 100W thanks to an integrated E-MARK controller, accelerating device charging and enabling full USB 3.1 Gen 2 bandwidth for buffer-free UHD 4K. 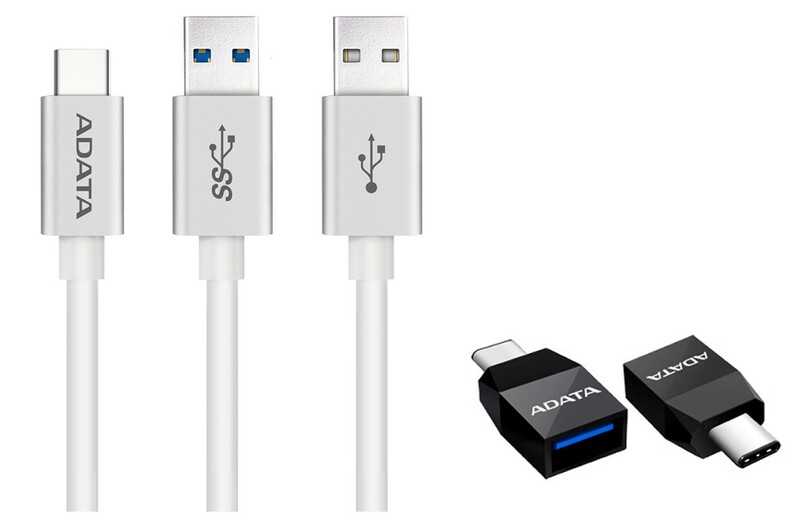 Additionally, ADATA is releasing compact USB-C to USB-A plug-style adapters, converting any of the many billions of USB-A cables worldwide to reversible USB-C instantly and with no loss of data delivery fidelity.